She was the daughter of John Sheather and Ruth Betts. [S2] Index of BDM records, NSW BDM, Place of Birth Registration: Taree, Registration Year: 1894, Registration Number: 33028. [S2] Index of BDM records, NSW BDM, Place of Marriage Registration: Port Macquarie, Registration Year: 1924, Registration Number: 8387. [S2] Index of BDM records, NSW BDM, Place of Death Registration: Taree, Registration Year: 1944, Registration Number: 21166. He was the son of Henry Sheather and Catherine McKenzie. Death 1948 He died in 1948 at HawaiiG. [S785] Judy Richards, "Henry Thomas Sheather," e-mail to Robert Mote, March 2008; January 2012. [S2] Index of BDM records, NSW BDM, Place of Birth Registration: Maclean, Registration Year: 1875, Registration Number: 12173. Name Variation Henry Thomas Sheather was also known as Thomas Henry. [S322] Reg Philps, "R Philps' Ancestors," e-mail to Robert Mote, August 2002. [S2] Index of BDM records, NSW BDM, Place of Registration: Maclean; Year: 1900; Number: 8969. [S2] Index of BDM records, NSW BDM, Place of Registration: Grafton; Year: 1904; Number: 3930. [S2] Index of BDM records, NSW BDM, Place of Registration: Ulmarra; Year: 1904; Number: 37506. [S2] Index of BDM records, NSW BDM, Place of Registration: Grafton; Year: 1908; Number: 14305. [S2] Index of BDM records, NSW BDM, Place of Registration: Bellingen; Year: 1910; Number: 12529. [S2] Index of BDM records, NSW BDM, Place of Registration: Lismore; Year: 1915; Number: 48330. [S2] Index of BDM records, NSW BDM, Place of Birth Registration: Maclean, Registration Year: 1880, Registration Number: 15371. [S2] Index of BDM records, NSW BDM, Place of Birth Registration: Mclean, Registration Year: 1883, Registration Number: 14840. [S33] Details of servicemen killed in action Web Page printout,. 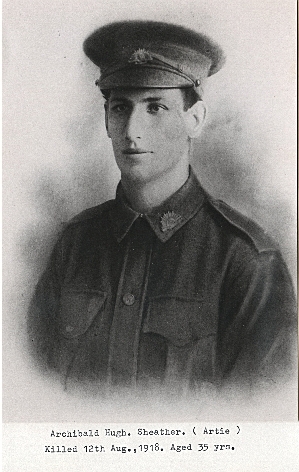 Nickname Private Edward John Sheather was often called Ted. [S2] Index of BDM records, NSW BDM, Place of Birth Registration: Maclean, Registration Year: 1884, Registration Number: 16692. She was the daughter of Benjamin Sheather and Eliza Charlotte Minett. As briefly mentioned in the last issue, the death occurred occurred on Thursday night of Mrs Rhoda Lambert, at the home of her daughter Mrs W Berry, of Flett Street, Taree. Mrs Lambert became ill three weeks ago following her return to Taree after a holiday in Helensburgh and Maitland. The late Mrs Lambert was a daughter of the late Mr and Mrs Benjamin Sheather and was born at Lansdowne and was 71 years of age. She lived at Lansdowne until she was married to Mr John A Lambert 53 years ago. For the first 15 years of her married life Mrs Lambert lived at Jones Island, and later for eight years at Hannam Vale. Then a further period was spent at Jones Island followed by three years at Taree Estate. On relinquishing farming activities 20 years ago, the family came to Taree to reside. Since the death of her husband over six years ago, Mrs Lambert has lived with members of her family. Deceased who was held in high esteem by a large circle of friends had a kindly disposition and was ever ready to assist others. Her main interests in life centered in her home but she was an active member of the Methodist Church and a prominent member of the Ladies Church Aid for many years. Mrs Lambert is survived by the following family: Messrs Harvey, Lester and Benjamin (all of Taree), Jack (Sydney), Veta, Mrs R J Sanderson (Helensberg), Melvie, Mrs W Berry (Taree) and Lorna, Mrs R Wilkins (Wollongong). Two sons Clarence (Orange) and Kevin (Sydney) predeceased their mother. Deceased is also survived by four brothers and three sisters - Messrs Harry Sheather (Macksville), William (Harrington), Roy (Wootton) and Albert (Victoria), Mrs W G Unicomb (Taree), Mrs I Ogier (Melbourne), and Miss Sara Sheather (Newcastle). Another sister, Mrs W Burns, of Taree, predeceased her. [S2] Index of BDM records, NSW BDM, Place of Birth Registration: Manning River, Registration Year: 1878, Registration Number: 15969. [S51] Various, Sheather List, Record: 126. [S2] Index of BDM records, NSW BDM, Place of Marriage Registration: Taree, Registration Year: 1896, Registration Number: 6102. [S15] Bruce William Fairhall, "Benjamin Fairhall Family Details," e-mail to Robert Mote, 29 Nov 1998. [S2] Index of BDM records, NSW BDM, Place of Birth Registration: Taree, Registration Year: 1897, Registration Number: 7555. [S2] Index of BDM records, NSW BDM, Place of Birth Registration: Taree, Registration Year: 1900, Registration Number: 26750. [S2] Index of BDM records, NSW BDM, Place of Birth Registration: Taree, Registration Year: 1902, Registration Number: 7395. [S2] Index of BDM records, NSW BDM, Place of Birth Registration: Taree, Registration Year: 1905, Registration Number: 28329. [S2] Index of BDM records, NSW BDM, Place of Birth Registration: Taree, Registration Year: 1909, Registration Number: 42216. [S2] Index of BDM records, NSW BDM, Place of Birth Registration: Taree, Registration Year: 1912, Registration Number: 10289. [S2] Index of BDM records, NSW BDM, Place of Birth Registration: Taree, Registration Year: 1917, Registration Number: 26470. He was the son of Benjamin Sheather and Eliza Charlotte Minett. [S2] Index of BDM records, NSW BDM, Place of Birth Registration: Wingham, Registration Year: 1881, Registration Number: 17575. [S2] Index of BDM records, NSW BDM, Place of Marriage Registration: Taree, Registration Year: 1910, Registration Number: 13639. [S2] Index of BDM records, NSW BDM, Place of Birth Registration: Taree, Registration Year: 1911, Registration Number: 21443. Nickname Drusilla Whitmore Sheather was often called Whit. Name Variation 1901 As of 1901, Drusilla Whitmore Sheather was also known as Dreucilla W as shown in her marriage entry in the NSW BDM Index. Name Variation 1901 As of 1901, Drusilla Whitmore Sheather was also known as Drucilla as shown in the birth entry for her daughter Dorothy in the NSW BDM Index. Name Variation 1917 As of 1917, Drusilla Whitmore Sheather was also known as Druscilla W as shown in the birth entry for he son James in the NSW BDM Index. Name Variation 1942 As of 1942, Drusilla Whitmore Sheather was also known as Driscilla as shown in the death record for her son Lawrence in the NSW BDM Index. After ailing for a few months, Mrs Drucilla Whitmore Burns, relict of the late James Garfield Burns, passed away in the MRD Hospital on Sunday morning at the age of 64 years. Prior to entering Strathairlie Hospital and later the RMD Hospital, the late Mrs Burns had been with her daughter (Mrs J M Pitt) at River Street, Taree for a time and previous to that with her other daughters for two or three years. The subject of this notice was born at Lansdowne, being a daughter of Mr and Mrs Ben Sheather, old and highly esteemed pioneers of the Manning, who were actively associated with the Salvation Army. She was married to Mr James Garfield Burns who predeceased her 28 years ago. Both were well known and highly thought of residents. Mrs Burns was a devoted and loyal mother, her life being marked by Christian principles. Apart from the care of the family practically all her time was devoted to church work - early in life in connection with the Salvation Army and of later years the Baptist Church. She had for a time been a great sufferer, but she bore her trials with courage and fortitude. The following are members of the family: Mrs J M Pitt (Taree), Mrs J Ross (Sydney), Mrs A latham (Sydney), Mrs Whibley (Sydney), Mr M Burns (Taree), Mr J Burns (Taree) and Mr A Burns (Sydney). Another son, Louris, died six years ago. Brothers and sisters are: Mr Harry Sheather (Macksville), Mr William Sheather (Harrington), Mr Albert Sheather (Melbourne), Mr Roy Sheather (Bulladelah), Mrs G W Unicomb (Taree), Mrs John Lambert (Taree), Mrs Studman (Hannam Vale), Mrs E Ogier (Melbourne). [S2] Index of BDM records, NSW BDM, Place of Birth Registration: Taree, Registration Year: 1883, Registration Number: 19976. [S2] Index of BDM records, NSW BDM, Place of Marriage Registration: Taree, Registration Year: 1901, Registration Number: 7672. [S51] Various, Sheather List, Record: 38. [S2] Index of BDM records, NSW BDM, Place of Birth Registration: Taree, Registration Year: 1901, Registration Number: 36332. [S2] Index of BDM records, NSW BDM, Place of Birth Registration: Taree, Registration Year: 1903, Registration Number: 25571. [S2] Index of BDM records, NSW BDM, Place of Birth Registration: Taree, Registration Year: 1905, Registration Number: 17967. [S2] Index of BDM records, NSW BDM, Place of Birth Registration: Taree, Registration Year: 1907, Registration Number: 40693. [S2] Index of BDM records, NSW BDM, Place of Birth Registration: Taree, Registration Year: 1910, Registration Number: 9284. [S2] Index of BDM records, NSW BDM, Place of Birth Registration: Taree, Registration Year: 1912, Registration Number: 50068. [S2] Index of BDM records, NSW BDM, Place of Birth Registration: Taree, Registration Year: 1912, Registration Number: 50069. Death 9 August 1968 Gertrude Clara Sheather died on Friday, 9 August 1968 at Taree, NSWG, at age 82. [S2] Index of BDM records, NSW BDM, Place of Birth Registration: Taree, Registration Year: 1886, Registration Number: 23044. [S2] Index of BDM records, NSW BDM, Place of Marriage Registration: Taree, Registration Year: 1910, Registration Number: 2928. [S2] Index of BDM records, NSW BDM, Place of Birth Registration: Taree, Registration Year: 1910, Registration Number: 44032. [S2] Index of BDM records, NSW BDM, Place of Birth Registration: Taree, Registration Year: 1912, Registration Number: 50064. Death 8 January 1973 Harold George Sheather died on Monday, 8 January 1973 at Taree, NSWG, at age 84. [S26] Bruce W Fairhall, 3 Jan 1999. [S2] Index of BDM records, NSW BDM, Place of Birth Registration: Taree, Registration Year: 1888, Registration Number: 24352. [S2] Index of BDM records, NSW BDM, Place of Marriage Registration: Taree, Registration Year: 1913, Registration Number: 11554. [S2] Index of BDM records, NSW BDM, Place of Birth Registration: Taree, Registration Year: 1914, Registration Number: 8371. [S2] Index of BDM records, NSW BDM, Place of Birth Registration: Taree, Registration Year: 1915, Registration Number: 40578. [S128] Julie Carver, "Studman/Sheather Link," e-mail to Robert Mote, April 2000. [S2] Index of BDM records, NSW BDM, Place of Birth Registration: Taree, Registration Year: 1891, Registration Number: 33979. [S2] Index of BDM records, NSW BDM, Place of Marriage Registration: Taree, Registration Year: 1914, Registration Number: 8798. [S540] Pat Edwards, "Details of Various Bombala Families," e-mail to Robert Mote, August 2005. [S2] Index of BDM records, NSW BDM, Place of Birth Registration: Taree, Registration Year: 1915, Registration Number: 24952. Death 1973 Harriet Sara Sheather died in 1973. [S2] Index of BDM records, NSW BDM, Place of Birth Registration: Taree, Registration Year: 1893, Registration Number: 34801. [S2] Index of BDM records, NSW BDM, Place of Birth Registration: Taree, Registration Year: 1897, Registration Number: 26423. [S41] Index of Deaths in Victoria, Vic Deaths 1921-85, Registration Number: 10988. [S2] Index of BDM records, NSW BDM, Place of Birth Registration: Taree, Registration Year: 1900, Registration Number: 35707. Marriage 1938 Albert Edward was married to Ruby Aileen Fischer in 1938 at Marrickville, NSW, AustraliaG. [S2] Index of BDM records, NSW BDM, Place of Birth Registration: Taree, Registration Year: 1903, Registration Number: 34743. [S41] Index of Deaths in Victoria, Vic Deaths 1921-85, Death Place: WARR; Year: 1971; Reg. Number: 14959. Birth 1873 Hannah Helen Allan was born in 1873 at Manning River, NSW, AustraliaG. She was the daughter of Alexander Andrew Allan and Harriet Sheather. [S2] Index of BDM records, NSW BDM, Place of Registration: Taree; Year: 1895; Number: 1835. [S761] Norm Bailey, "George Sheather," e-mail to Robert Mote, June 2008. [S2] Index of BDM records, NSW BDM, Place of Registration: Taree; Year: 1901; Number: 36346. [S2] Index of BDM records, NSW BDM, Place of Registration: Taree; Year: 1909; Number: 42189. 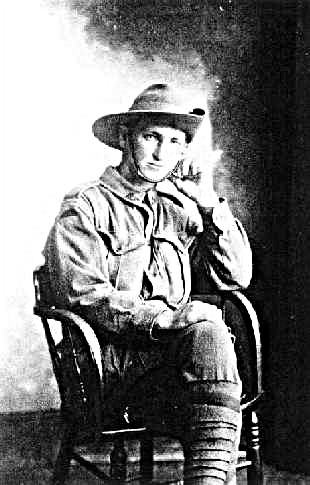 Birth 1874 Stephen George Allan was born in 1874 at Manning River, NSW, AustraliaG. He was the son of Alexander Andrew Allan and Harriet Sheather. [S2] Index of BDM records, NSW BDM, Place of Death Registration: Taree, Registration Year: 1936, Registration Number: 24578. Birth 1877 Charles Frederick Allan was born in 1877 at Manning River, NSW, AustraliaG. [S2] Index of BDM records, NSW BDM, Place of Death Registration: Taree, Registration Year: 1945, Registration Number: 21245. Birth 1879 Alexander Ernest Allan was born in 1879 at Manning River, NSW, AustraliaG. [S2] Index of BDM records, NSW BDM, Place of Death Registration: Macksville, Registration Year: 1930, Registration Number: 10392.